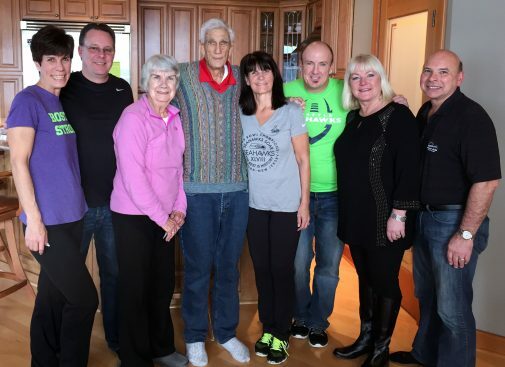 The family celebrated the graduation of Megan Shagren in May. A philanthropic family from Tacoma, Washington, has given Westmont $575,000 as seed money to launch women’s swimming and men’s and women’s golf beginning in the 2019-2020 academic year. The Tom and Meg Names Family Foundation awarded a $500,000 grant to the swimming program, and the Names Family Foundation has donated $75,000 toward the creation of men’s and women’s golf. 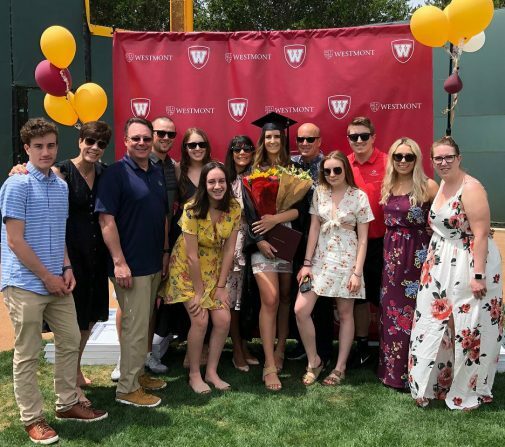 Megan Shagren ’18, the daughter of Mark and Erin (Names) Shagren (a co-trustee of the Tom and Meg Names Family Foundation), graduated from Westmont in May with a degree in liberal studies. Erin, executive director of the Names Family Foundation, says this personal attention became evident during Megan’s sophomore year when she battled a lengthy illness. 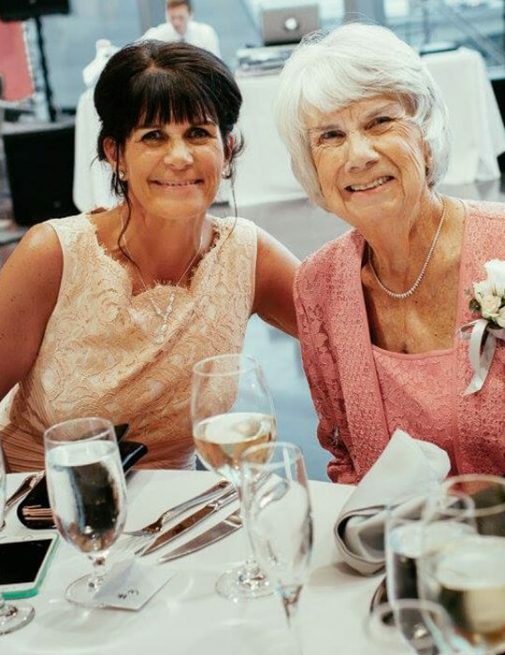 Erin and her sister, Monica Names King, established the Tom and Meg Names Family Foundation after their parents passed away in 2016. “We both agreed that funding the swimming program was a great opportunity and something my parents would be excited about,” Erin says. “My mom had come to Westmont Parent’s Weekend for Megan’s freshman year and really enjoyed seeing the campus. We hope the gift to Westmont will attract high quality swimmers and student athletes to the college who would normally not even look at Westmont as an option,” Erin says. Swimmers will train at Westmont’s pool and at the Santa Barbara-owned Los Banos Del Mar Pool. Swim meets will be held at regulation pools in the Western Region and possibly Los Banos. Dave Odell, Westmont athletic director, continues to review coaches for women’s swimming and men’s and women’s golf. Those interested should contact him directly at dodell@westmont.edu. Those interested in applying to attend Westmont should visit westmont.admissions.edu. Applications for fall 2019 open Aug. 1.